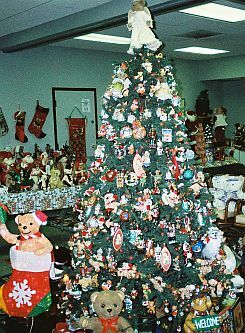 It is billed as the largest Christmas display of teddy bears to be found anywhere, and it takes place for the entire holiday season. The place is the Christ The King Lutheran Church in Phoenix, Arizona, and you can enjoy this fabulous collection starting December 3rd and running through January 6th. 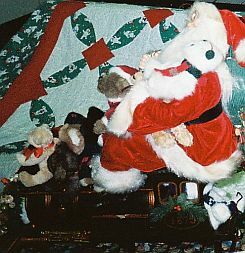 Many devoted teddy bear collectors share their collections for special events throughout the year, but this amazing collection is decked out just for the Christmas season, and it has been a special holiday treat put together annually by Chuck and Cindy. This incredible display has won the hearts of children and adults alike. 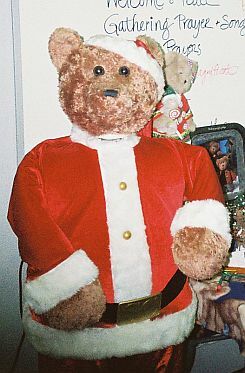 You can expect to see a complete teddy bear choir decked out in Santa bear suits - a nativity scene - a tall Christmas tree with over 300 bear ornaments, garland, tree topper and tree skirt, all in a teddy bear theme - A Boyd’s Christmas teddy bear scene - animated bears that sing and others that move about, and more! There will also be a variety of Artist teddy bears and others for sale, and all proceeds of this enchanting exhibit and sale is donated to the Christ the King Lutheran Church for their charitable work. There is no charge for admission, but donations are warmly accepted. 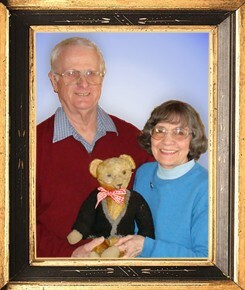 This very special teddy bear holiday exhibit is well worth traveling a good distance to see and behold, and we’ll provide the details on where and when at the end of the article, but we want to share some background information on the dedicated teddy bear collector couple who make it all possible. Cindy and Chuck Warner are both devoted collectors. Chuck, who is a special education teacher in Phoenix, got his first teddy bear in l985 - one of the popular Teddy Ruxpin bears that took the market by storm when they were introduced. He then provided Cindy with teddies as gifts, and both got hooked on the magic allure of teddy bears. 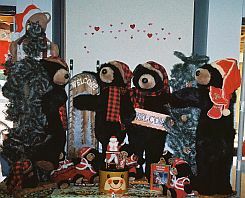 The Warner’s collection is largely made up of Artist bears, acquired primarily at teddy bear shows in Arizona and California. In addition to Artist bears, Cindy has a soft spot in her heart for bears produced by the German firm Hermann. She estimates that half of her collection are by the German maker, along with a few by Steiff. The Warner's display their collection on available space on shelves and furniture throughout the house, but with space at a premium, they have undertaken a remodeling project that is specifically aimed at creating more display space! You can add an enchanting experience to your holiday activities this year by taking the whole family to magical Teddy Bear Christmas Display at the Christ the King Lutheran Church, 10030 N. 32nd Street in Phoenix, Arizona. The exhibit starts December 3rd and runs through Sunday, January 6th, 2013. It is open daily except Wednesdays, December 5, 12 and 19. Time vary, but generally open evenings from 6:30 to 8:30 PM, Saturdays 10:30 AM to 2 PM, and Sundays from 10:30 AM to 1 PM. The Warner's will be pleased to answer any questions you may have. Chuck can be reached at work at 623-691-2414, or call their home phone at 602-468-9543. Wish them a Merry Christmas from Bears&Buds too!